The hotel Casteli is a quiet and romantic hotel, built in side of hill with preferential view in the entry of harbour of Scala, Chora and Monastery, abstaining hardly 150 metres. 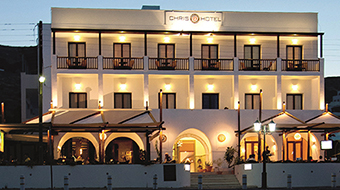 Hotel Effie promotes island hospitality and a variety of modern comforts. 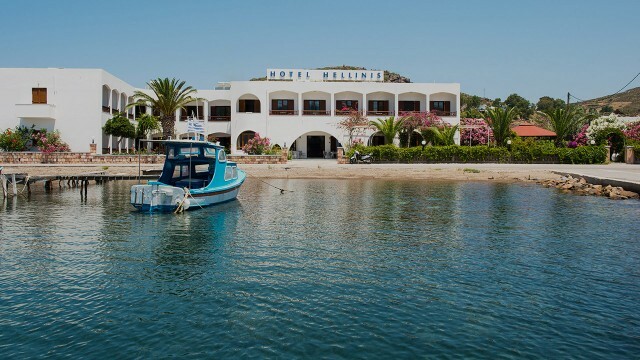 The HELLINIS is a friendly, traditional hotel built in the Netia region of Skala in Patmos, near the sea some 500 meters from the harbor. 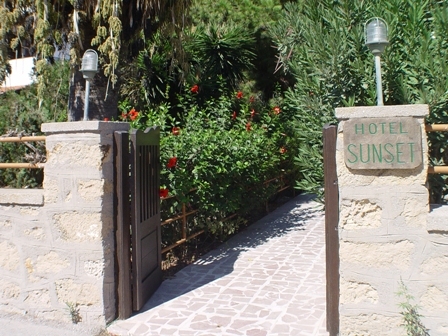 The SUNSET Hotel is situated on the quiet bay of Hohlakas, offering fascinating sunsets, and only 400 meters far from the port of Skala. It has an ample breakfast (buffet) lounge, an all green garden with a veranda and a pretty yard surrounded by lots of trees and flowers, and a private parking lot. Fax and wireless internet are also available.